Fairhill Farm has an outstanding crop of weanlings being offered for sale at the Inglis Chairmans and Australian Weanling Sale in April. Dissident colt out of Ultima Carta. Ultima Carta / Dissident colt is a dark brown attractive fellow and is from the second crop of his sire. The mare is a half sister to Group 1 winner Good Project and 2 other stakes performers being World Airlines and Alacarte. All siblings that raced were winners. The mare, Ultima Carta, was unraced due to injury and her 2 foals to date have had one start each. This foal is her best to date. The mare is in foal to Wandjina. He is bred 6x6 to Milan Mill, the dam of Mill Reef (sire side)and Millicent (dam side). Satirical Lass / So You Think filly is the first foal out of the city mare who won 5 races. The filly is a 3/4 sister to Smart As You Think and a potential Oaks filly. It is the family of Group 1 winners Shania Dane and Summer Passage. She is a well grown foal and no signs of being a first foal. She is bred 6x6 to Mill Reef through 5th dam Sandy Island and sire of Darshan, Shirley Heights. So You Think filly out of Stratance. Stratance / So You Think filly has thrown very much to High Chaparral. She is an attractive filly and is a half to 2 winners from three starters. The 3yo half sister, Tuskar Brook, won at Moonee Valley in February and Stratum Magic is the winner of 3. She also has a 2yo by High Chaparral that sold last year for $200k to the HKJC. Stratance is the daughter of dual Group 1 winner Love Dance and grand dam of 7 stakes performers. She is bred 4sx6d to Nijinsky, 5dx5d to Round Table and 7sx5d to Never Bend. No Nay Never colt out of Antarctic Dream. Antarctic Dream / No Nay Never colt is the first foal out of a city winner of 7 races, 2 as a 2yo. Antarctic Dream is a daughter of Group 1 performer, Groundless Threats. She is from the family of Group 1 winners Zepherin and Timber Trader. The colt is a strong 2yo type, like his champion 2yo father, and an excellent first foal. He is bred 6dx6d to Sir Ivor. Pierro colt out of Sandy Desert. Sandy Desert / Pierro colt is a strong type in the mould of his father. He is a half brother to a stakes performer, Desert Fox, and 3 winners from 4 to race. The dam is a Half to Desert End, Group 2 performer and dam of stakes winner Mohave. it is the family of champion sires Valid Appeal, Snitzel and Hinchinbrook. The colt is bred 5s, 7sx4d Northern Dancer, 6sx5d Sir Ivor, 7dx5s Bold Ruler. Super One filly out of Tiger Eyes. Tiger Eyes / Super One filly is a first foal out of 4 time winner Tiger Eyes, herself a half to Stakes winner Speedy Leo. Tiger Eyes performed at 2 and was fast as was the sire, Super One. This filly will be early. It is the family of Golden Slipper winner Star Watch. The filly is bred to 6dx4d,4s Lunchtime, 6sx5d Biscay, 6sx5d Sharpen Up and 6sx6d His Majesty. Speed speed speed. Shooting To Win colt out of Touch of Greatness. Touch of Greatness / Shooting To Win colt is the 4th foal out of a winner but also a trial winner of six trials, her only starts. She is the dam of stakes performer Hair Trigger, winner of 3 and her only starter. This colt is a very mature chestnut that will make into an outstanding 2yo. The yearling half brother, by Smart Missile and a full brother to Hair Trigger, has been retained and is currently being broken in. This colt is line bred to his bottom line family though, Lacryma Cristi, Don Eduardo and Shooting To Win, one of the blue hen families in the stud book. It is a most exciting pedigree and an even more exciting type. Outreach colt out of Now Now. Now Now / Outreach colt is a strong 2yo type as one would expect given his mother and father. Now Now was a winner at 2 and performed in town. She won 5 races but never reached full potential because of chips on her knees. Outreach is a full brother to Overreach, winner of the Golden Slipper, who broken his leg in the Breeders Plate, his first race. He ran Vancouver to a nose with a broken leg in his only race. For me, he is a very exciting sire and I will support him strongly. 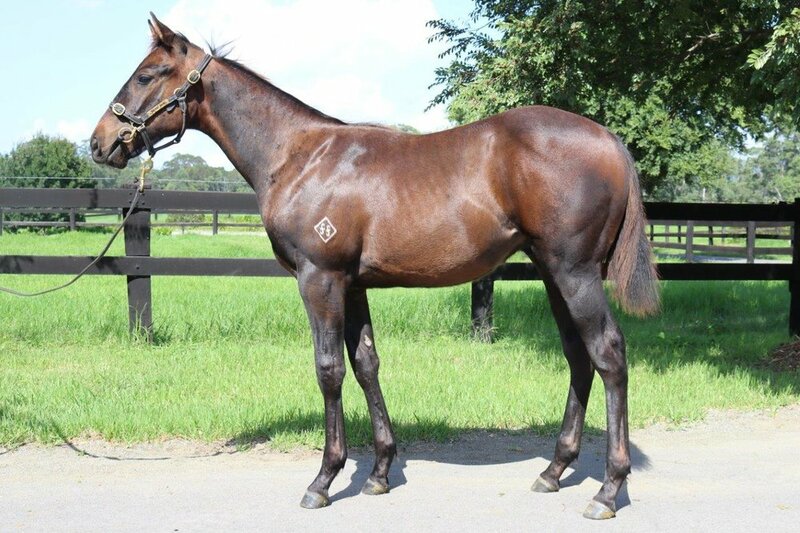 The colt is a half brother to exciting 2yo filly Fiesta, trained by Chris Waller. She has 3 stakes performances from 4 starts and has placed or won in all starts. She won the Group 3 Widden Stakes, 2nd Group 2 Sweet Embace and 3rd in The Gimcrack. This filly is I bred to Danehill 3x3. Unencumbered colt out of Catastrophe. Catastrophe / Unencumbered colt is a 3yo type out of a half sister to Hoss Amor, the dam of the $2.4m yearling colt by Medaglia D’Oro sold last year at Easter. It is the family of Group 1 winner Sizzling. The result is bred 5dx5d to Without Fear, a great source of speed, 6sx4d Mr Prospector and 7sx6d Nijinsky. So You Think colt out of Blowin In The Wind. Blowin in the Wind / So You Think colt is a 3/4 brother to Theanswermyfriend, a stakes winning Group 3 performer and winner of 4. The colt is a half to 4 winners. The mare is by the great Danehill and the family is laden with Group 1 performers. 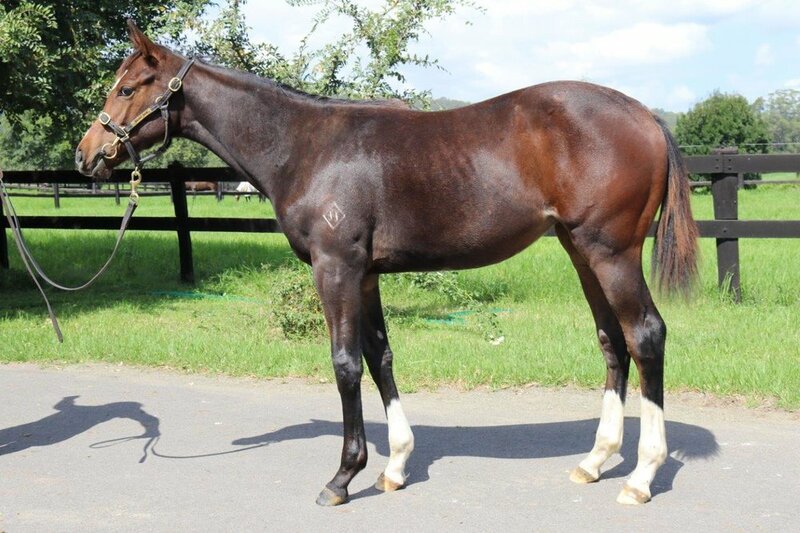 The yearling out of the mare by Uncle Mo sold to Gai Waterhouse at the MM Gold Coast yearling sale. The colt is bred 4sx6s to Nijinsky and 5dx7d to Round Table. Brightlands Star / Scissor Kick colt is a strong type out of a mare that is a half to a Group I winner, Zip Zip Aray and stakes winner and Group 1 performer, Zipanese. Family is that of Group 1 winners Nicconi, and Japan Cup winner Horlicks. The colt is bred 5sx4d Bletchingly. Consommé / Artie Schiller colt is the second foal out of the mare who is a half to 3 stakes performers including stakes winner Woppitt. The first foal sold this year for $200k at Classic through the Gold Riband session. This family is full of early runners including the grand dam and great grand dam. Campbell Fever won 2 of her 3 wins at 2 and Midnight Fever won 6 of her 8 wins at 2 including the Group 1 Blue Diamond. This foal has an interesting pedigree being inbred to Sadler’s Wells 3sx4d, Special 5dx6s,6d. At this stage he still looks like an early 2yo. His brother by Hinchinbrook is currently being broken in. Keeping Score with foal at foot by Deep Field. Keeping Score / Deep Field colt is the half to 2 winners from 2 starters including Think Positive by So You Think. Think Positive is an exciting horse with a bright future and won only recently. The 2yo Pierro filly has been retained. This is the family of Gurners Lane and Sovereign Red as the third dam of the mare is Taiona. The foal is inbred to Secretariat 6dx5d. He is a strong 2yo type and very attractive. Hinchinbrook colt out of Roman Sandals. 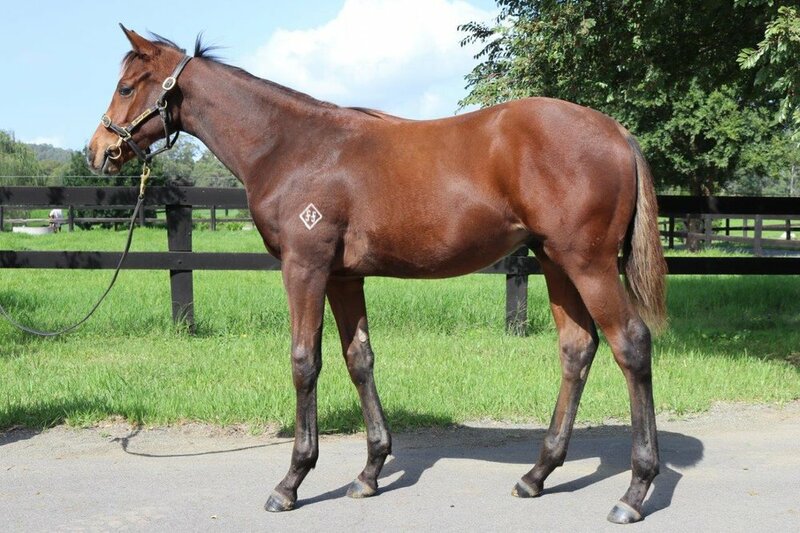 Roman Sandals / Hinchinbrook colt is a full brother to a filly, Hinchinstyle, she is placed in her first couple of starts. A 2yo full brother has trialled and is spelling at present. The yearling filly by Deep Field has been retained. Hinchinbrook is from the same family as Roman Sandals. The family is full of Group 1 winners including Valid Appeal, Snitzel and Hinchinbrook. Roman Sandals is a half sister to Stakes performer Desert Fox and 4 time Sydney winner Yuma Desert, who won 3 in succession. The colt is inbred to Scotch Verdict 6dx5d and Danehill 3sx3s. Rose Red / Shooting To Win colt is the 4th foal out of the mare. The first foal is an unraced 3yo Encosta De Lago colt that is owned by Tim Martin. He also purchased the So You Think filly out of the mare. The Rubick filly will be retained. Unraced mare Rose Red is out of Group 3 winner Lume and is unraced because the owner had waited six years to get a filly by Spinning World and was not prepared to race her but put her into his breeding program. She visited Wandjina this year. The foal is out of a mare from the Number 9 family and by a stallion from the Number 9 family. She has 4 strains of Rough Shod ll through Ridan, Thong x2, and Moccasin, two following through to Special, the dam of Fairy Bridge x5 and Nureyev x3. He is a tidy horse likely to be a 3yo. Sweet Maggie/Unencumbered colt is a half to Group 3 winner Vinnie Eagle, winner of 4 races. The dam has 4 to the races for 3 winners. She is a half sister to the dual Group 1 winner, Nashville. She has a 2yo colt by I Am Invincible yet to race and her yearling by Deep Field sold at Adelaide for $90k. The Unencumbered colt is a very strong 2yo type with plenty of attitude. He is bred to Danzig 4sx4s and Nijinsky 7sx4s with 2 strains of Sharpen Up 4d,5s, through his dam. Via/Eurozone colt is out of a Southern Halo mare that is a sister to a 3 time Group 1 winner, Team. He won 7 races at 2. There are 6 Group 1 performers in the first 2 dams. The filly, who has great strength of attitude, has Halo 4sx3s. She is a half sister to 2 winners. Heavensentme/Rubick filly is a strong early type. She is a half to a 2yo filly by So You Think and a yearling by Uncle Mo that sold at Classic for $70k. This filly is the third foal of her winning dam. Her dam is a half to 5 winners. She is bred to Danehill 4sx3s, Fanfreluche 6dx4d, Best in Show 6dx7d. L’on Vite , dam of Holy Roman Emperor, and Grand Luxe, dam of Rolls, are closely related. 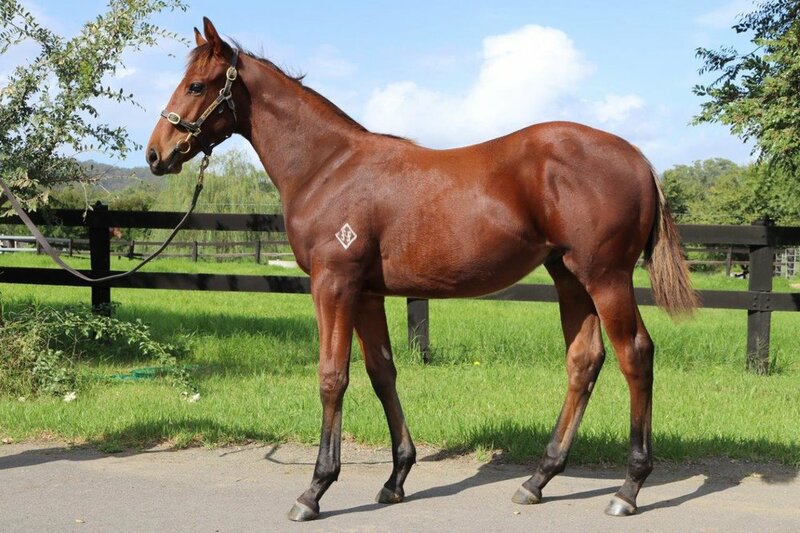 Kawakawa/foxwedge colt is out of an unraced Flying Spur mare who in turn was out of a handy Group performed mare in Clevedon. The 2yo half sister to the colt is syndicated by Darby Racing and the yearling has been retained and is currently being broken in. Foal is 3sx3s Danehill, 6sx5d to Sir Tristram and 7dx5s to Biscay. Laconic/Eurozone colt is a chestnut 2yo type out of a mare that is a half to stakes winner Zupacool. She is out of stakes placed Be Cool also. It is the family of Circles of Gold, Elvestrom and Haradasun. This is her third foal and the 2yo is by The Factor while the yearling, sold at Classic to Frank Cleary, is by So You Think. The foal is bred to Round Table 6sx6d. Fusaichi Rose/Choisir filly is a half to Group 3 performer Main Dane, winner of 4 races. She is also half to 4 winners. Fusaichi Rose is a half to Group 1 winner Serenade Rose. The filly is a beautiful mover and could be early. The filly is inbred 4sx4d Danzig, 7dx6s Tudor Minstrel and 7sx7d Court Martial. 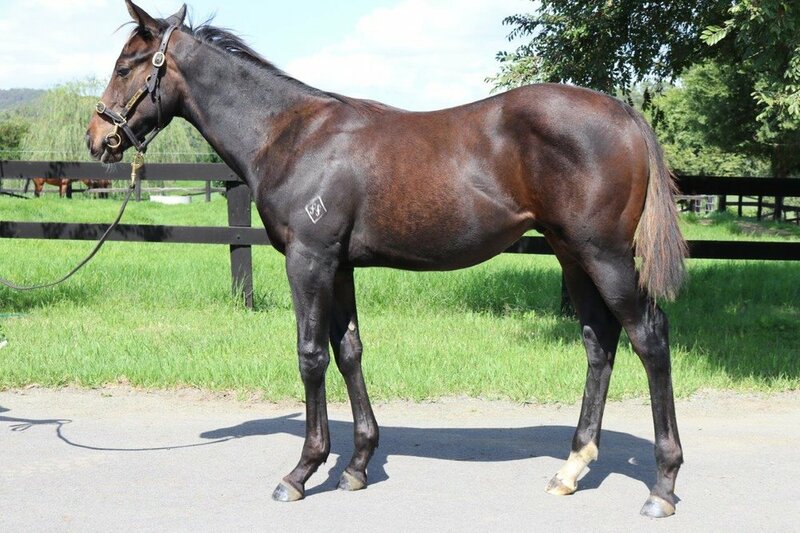 Desert End/Hinchinbrook filly is out of Group placed USA mare Desert End who is the same family as Hinchinbrook along with Snitzel and Valid Appeal. The filly is a half sister to Group 3 performed Margham who is the dam of stakes winner Mohave, winner of the Blue Diamond Preview. Desert End has had 5 winners from 6 starters. There are many Group 1 performers in Desert End’s first 2 dams. It is intended to sell all weanlings at the upcoming Inglis Chairmans and Inglis Australian Weanling and Broodmare Sale along with some of our clients weanlings.